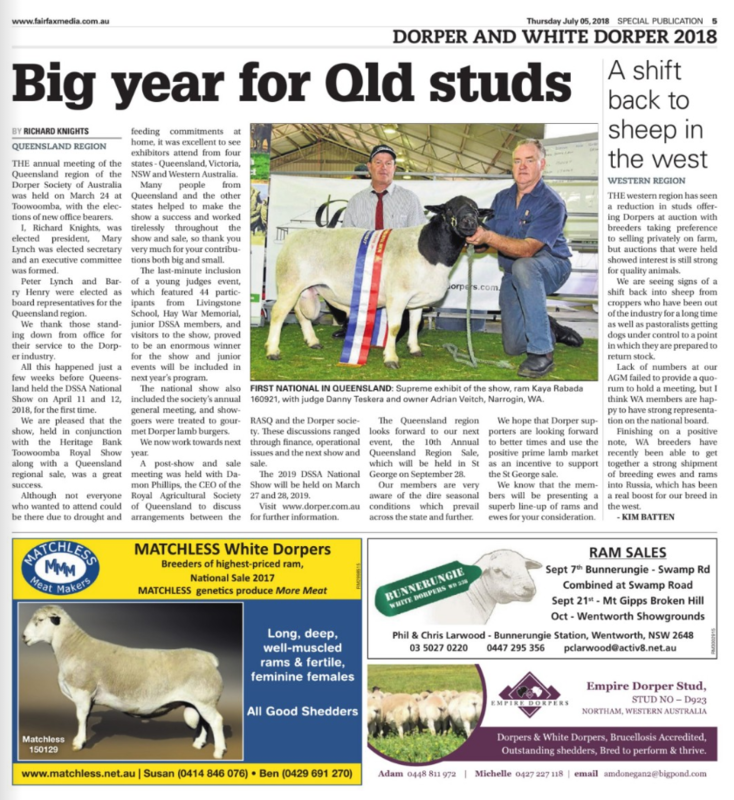 THE annual meeting of the Queensland region of the Dorper Sheep Society of Australia was held on 24th March at Toowoomba, with the elections of new office bearers. I, Richard Knights, was elected president, Mary Lynch was elected secretary and an exceutive committee was formed. Peter Lynch and Barry Henry were elected as board representatives for the Queensland region. We thank those standing down from office for their service to the Dorper industry. All this happened just a few weeks before Queensland held the DSSA National Show on April 11 and 12, 2018 for the first time. 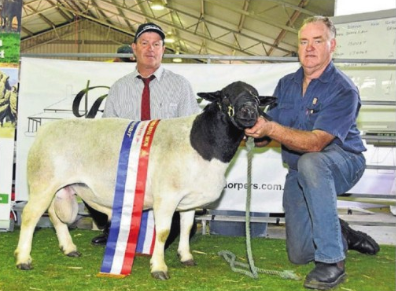 We are pleased that the show, held in conjunction with the Heritage Bank Toowoomba Royal Show along with a Queensland regional sale, was a great success. To read the full story by Richard Knights, click here.